CylA is a subtilisin-like protein belonging to a recently expanded serine protease family related to class II lanthipeptide biosynthesis. As a leader peptidase, CylA is responsible for maturation of the enterococcal cytolysin, a lantibiotic important for Enterococcus faecalis virulence. In vitro reconstitution of CylA reveals that it accepts both linear and modified cytolysin peptides with a preference for cyclized peptides. Further characterization indicates that CylA activates itself by removing its N-terminal 95 amino acids. CylA achieves sequence-specific traceless cleavage of non-cognate peptides even if they are post-translationally modified, which makes the peptidase a powerful tool for mining novel lanthipeptides by providing a general strategy for leader peptide removal. 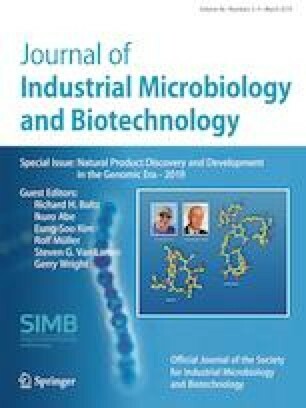 Knowledge about the substrate specificity of CylA may also facilitate the development of protease inhibitors targeting cytolysin biosynthesis as a potential therapeutic approach for enterococcal infections. This article is part of the Special Issue “Natural Product Discovery and Development in the Genomic Era 2019". The online version of this article ( https://doi.org/10.1007/s10295-018-2110-9) contains supplementary material, which is available to authorized users. This study was supported by the National Institutes of Health (R37 GM 058822 to W.A.V.). WT and WAvdD designed the study. WT and SCB performed all experiments. WT, SCB, LW and WAvdD analyzed the data, and WT and WAvdD wrote the manuscript.